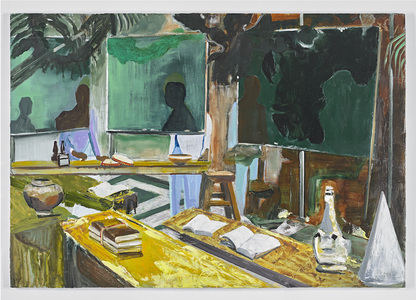 Katzen Museum, American University, Washington, D.C.
All The While I Thought You Had Received This, 2018, Oil on panel, 33 x 48"
The works of Maia Cruz Palileo have long examined issues of migration and belonging, and the complexities and nuances of what she refers to as a ‘hyphenated concept of home’. 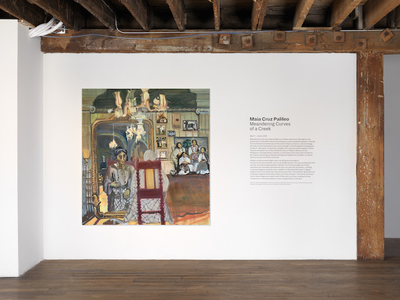 However, where she has previously explored personal and familial histories, reconstructing memories and images from her family archive, these new works see Palileo reimagine the dominant colonialist depictions of Filipino culture. In doing so, she spent a month researching the paintings of Damián Domingo (1796–1834), Isabelo de los Reyes’ 1889 book El Folk-lore Filipino, as well as photographs from the Dean C. Worcester Archive at Chicago's Newberry Library. The 19th century view of the Philippines, through the eyes of these folklorists, artists and American government officials, painted a picture of its subjects (through the eyes of natives as well as ‘the other’), that, while poignant in places, was, more often than not, exploitative and dehumanizing. For Face of the Future, Chitra Ganesh reimagines how visual languages of science fiction and fantasy take shape and proliferate around the world in print culture, literature, and cinema. In addition to showcasing her own new works on paper and collage-based pieces, Ganesh has invited seven emerging artists—Maia Cruz Palileo, Nontsikelelo Mutiti, Tammy Nguyen, Jagdeep Raina, Sahana Ramakrishnan, Anuj Shrestha, and Tuesday Smillie—to expand and redefine the aesthetics of science fiction by creating posters that refer to a group of important, influential films largely outside the Western canon. 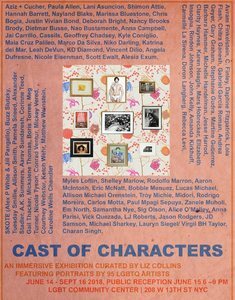 Cast of Characters is an immersive exhibition curated by Liz Collins featuring portraits by 95 LGBTQ artists. 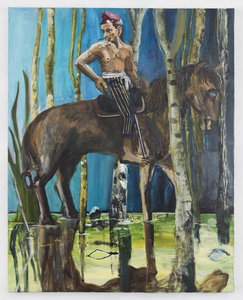 Junk Envy features paintings and sculptures depicting personal collections by Jordan Buschur and Maia Cruz Palileo. Disposable objects- a can of AquaNet hairspray, batteries, pens, lipstick, Sharpies, cigarettes- all grow in stature when loaded with personal and cultural associations, memories and invented value. The cycle of consuming and disposing, fueling the economy and contributing to our collective over-consumptive demise is disrupted when a 1980s plastic comb is recreated in plaster and displayed on a shelf. Here is an object whose original use is no longer viable. Both artists utilize mass-produced objects to point towards hidden, personal narratives. The original items, often cheap, skip from one type of value measurement to another to transcend their status as “junk”. 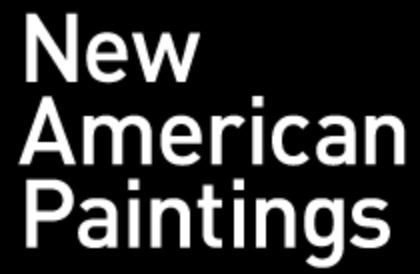 Exhibition of works on paper by 29 American artists. 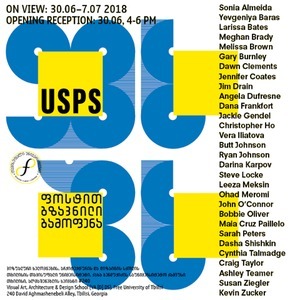 Curated by Dana Frankfort and Vera Iliatova. Meandering Curves of a Creek is Maia Cruz Palileo’s first solo institutional exhibition, comprised of a selection of recent paintings and drawings that continue the artist’s ongoing exploration of her personal identity, cultural heritage and feelings of multiplicity as a Filipino-American. This body of work traces a direct lineage to the ethnographic photographs of Dean C. Worcester, an American zoologist turned Secretary of the Interior who traveled to the Philippines at the turn of the nineteenth century. 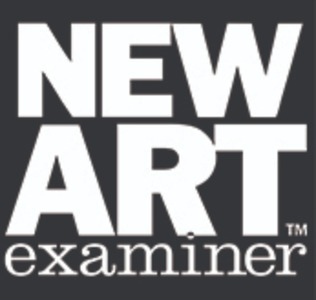 Palileo unearthed Worcester’s dehumanizing images in Chicago’s Newberry Library during the summer of 2017, and in turn used these photographs as a point of creative departure for transposing a bygone past into an intimately imagined world where history, myth, and superstition intersect. Meandering Curves of a Creek is part of a special project made possible with support from the Jerome Foundation Travel and Study Grant. I was invited by Olana to give an Artist on Art Tour of the exhibit Overlook, Teresita Fernández confronts Frederic Church at Olana. My tour will consider American values and their roots in manifest destiny, the construction of race, and how ethnography and anthropology were developed as a strategy to justify violence toward the indigenous population and people who were enslaved in the United States during the not so distant 19th century. These justifications carried over into westward expansion of Asia, when America colonized the Philippines at the turn of the 20th century.